A thoughtful and considered exploration of the person-hood and power of Jesus, this study brings great depth to the study of Christ. For those looking for a thorough look at the founding thoughts of the Reformation, this part of a 5-book series examines one of the iconic Solas that defined the faith of the Protestants. It offers a uniquely insightful perspective by breaking the 5 tenants over 5 books to give them the proper space. A trusted route to understanding Reformation thought, this is a source of great wisdom and the source of modern Christian identity. 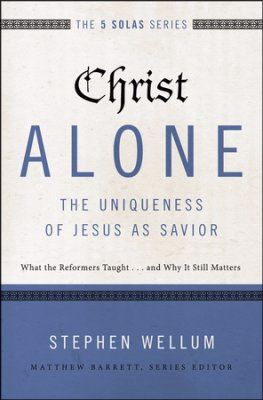 Christ Alone: The Uniqueness of Jesus as Savior by Stephen Wellum;Matthew Barrett;Michael Reeves was published by Zondervan Academic in April 2017 and is our 53218th best seller. 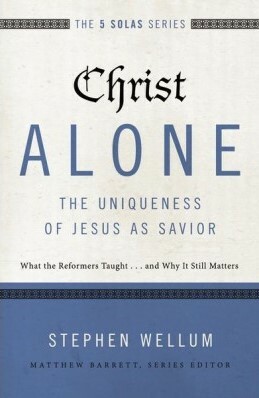 The ISBN for Christ Alone: The Uniqueness of Jesus as Savior is 9780310515746. Be the first to review Christ Alone: The Uniqueness of Jesus as Savior! Got a question? No problem! Just click here to ask us about Christ Alone: The Uniqueness of Jesus as Savior.